Our ivory flower wall is an amazing addition to your wedding, party or event as it creates a unique and beautiful backdrop for your photos. The flower wall is a mix of neutral ivory tone flowers and includes silk roses, hydrangeas & peonies. 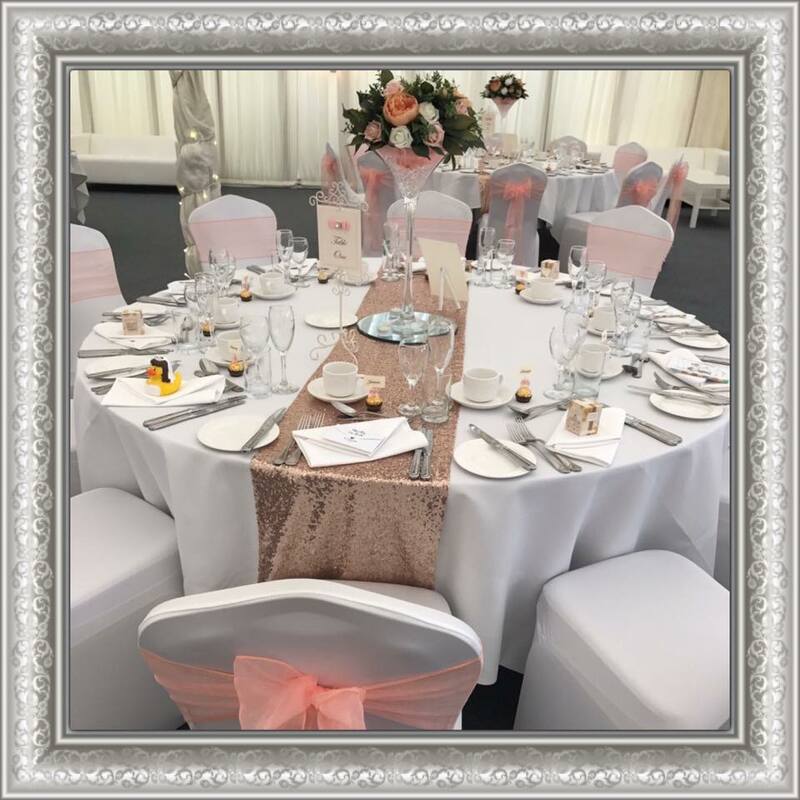 The neutral colour allows for almost universal use against other colour schemes you may have for your big day. 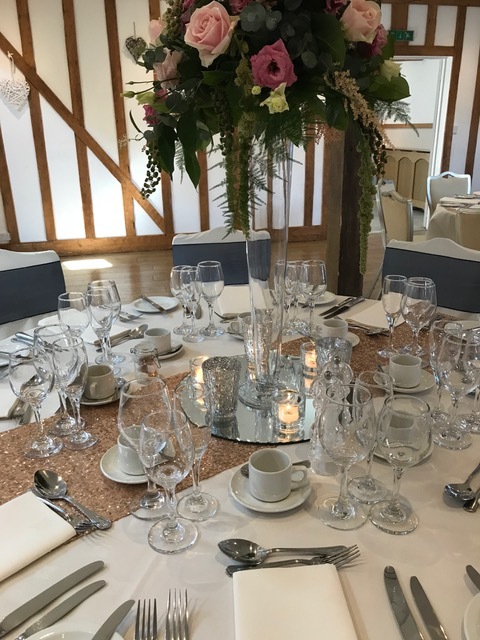 There are a variety of uses for the flower wall but the most popular are as a backdrop to a ceremony, top table or cake table. Positioning the flower wall in this way will allow for amazing photographs to be taken! It's your big day, so why not stand out and give your wedding breakfast the 'Wow' factor! 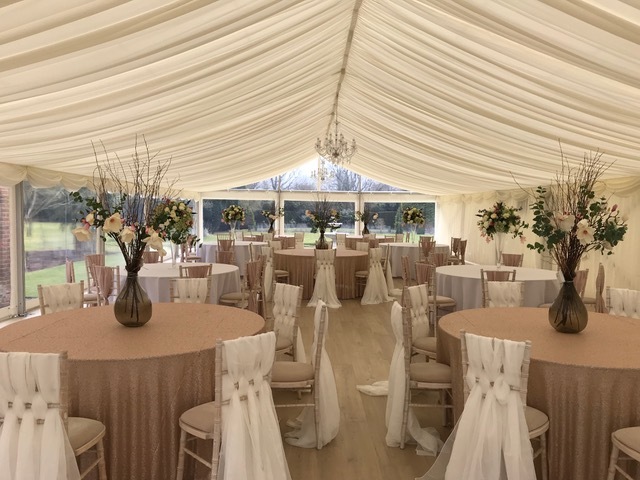 The high sparkle achieved from our sequins is as at home in a barn wedding as it is in a marquee or hotel and the results are simply jaw-dropping! 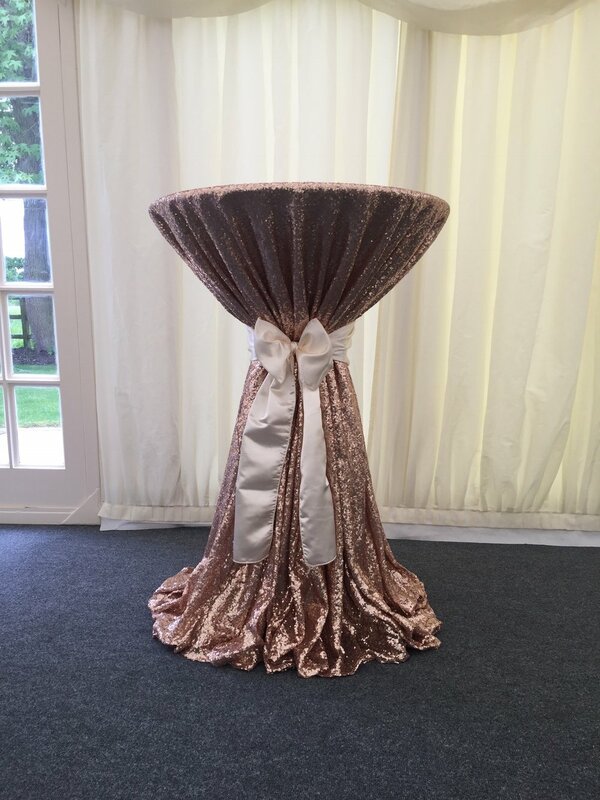 Our sequins come as table runners for a more discreet look, and also as full-drop overlays for maximum impact. Various colours are available with the most popular being silver and rose gold. You have spent months or even years planning the detail of your wedding breakfast. 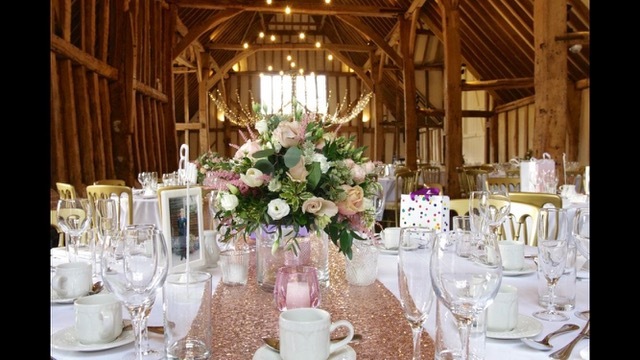 Sequins are sparkling, centrepieces are in and everything looks amazing. The first thing however your guests will see as they move into the room is your table plan. Why settle for anything less than a table plan that starts your sequin theme as your guests enter the room! 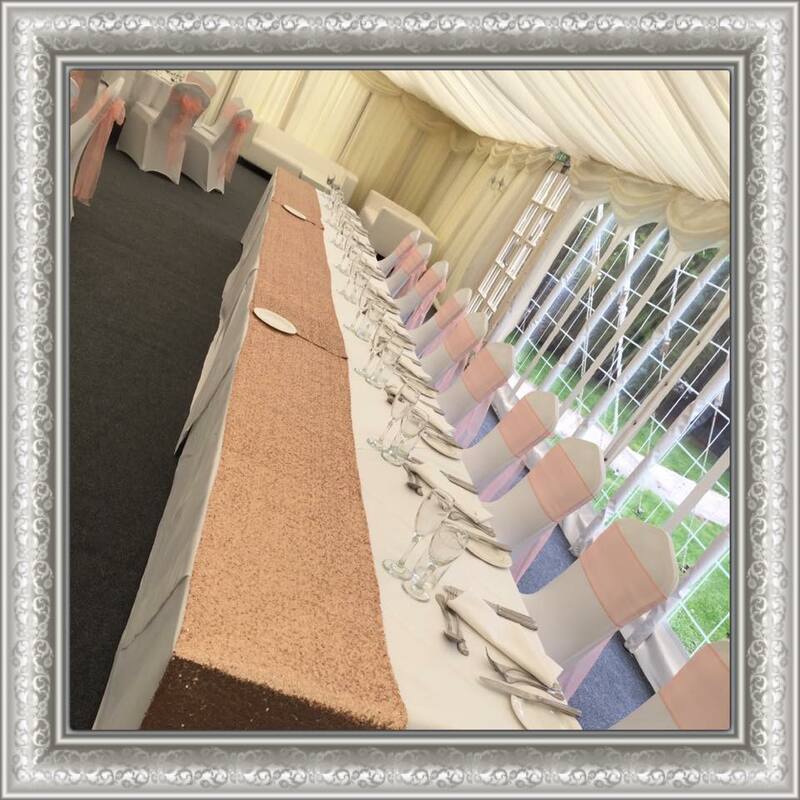 Beautiful frames are available that will be embedded with your sequins with matching smaller frames detailing your tables. It's the perfect start to your wedding breakfast!